In 2010, I met Kate at the World Coffee Conference in Guatemala City. At the time, we promised to keep in touch with the view of writing a paper together, “probably about quality”. It took us 6 years, 2 PhDs, multiple trips to Costa Rica and 2 babies, but we finally did it! The annual SCAA Expo was in Atlanta this year, and we submitted our proposal for the scientific poster session and got approved quite quickly. So then we actually had to write the thing. Unfortunately time and money (or rather, lack of) meant I couldn’t make it to Atlanta to present it, so poor Kate had to go alone, but by the sounds of it she did it wonderfully! Specialty coffee is, by definition, concerned with quality. But how that quality is determined, and by whom, is not the wholly objective process many would like to think of it as. Moreover, the details that are so important to SCAA members are often received very differently at either end of the coffee chain. Not only are many of these details misunderstood by, or irrelevant to the consumers and producers, the focus on quality at all costs may be detrimental to both farmers and consumers. Drawing on research at origin (in Costa Rica and Honduras) and consumption (in Northern England and Saskatchewan) as well as at previous SCAA events, we use qualitative, social scientific methods to answer a) how ideas about quality are understood and evaluated and b) how the focus on quality impacts consumers and producers. We argue that the focus on quality to the exclusion of all other considerations is a problematic path. At origin, many farmers are not interested in meeting buyer requirements that can feel arbitrary and which seem to fluctuate daily. Others are not able to access the higher end specialty markets, and so end up selling very good coffee on the conventional market. In Costa Rica in particular the price is far too low for the efforts demanded by specialty buyers, so that many who would prefer to grow coffee have left the industry. Consumers in Saskatchewan and northern England likewise feel excluded from, or overwhelmed by, the specialty industry’s idea of what coffee should be. In the majority of coffee shops in these areas, coffee is rarely even labelled by origin, and certainly not by SCAA cupping scale scores. Consumers are more heavily influenced by individual taste preference and by price, as well as the vendors’ marketing. With so many factors contributing to the consumers’ idea of ‘Quality’ coffee, it is difficult to determine whether the demand for very high quality is driven by the consumers at all. The results of our work and of that of other social scientists indicate that the SCAA focuses only on quality at its peril. There is good reason to distinguish specialty from conventional, and of course there must be a way to indicate that distinction. 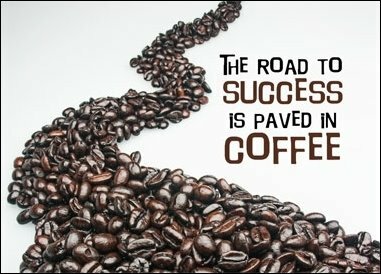 To insist on only one idea of coffee is, however, to risk alienating both potential customers and current or future farmers. The SCAA does not need to embrace instant coffee to recognize that there is room to consider other factors in the determination of quality, nor are we arguing that a drive to improve growing, processing, shipping and preparation is unwarranted: rather the opposite. Indeed, the story of coffee as one of the humble, hardworking farmer who transmits love and care through the coffee chain to the tattooed, bearded barista who then prepares your beverage with that same love and care is a compelling one. We suggest, however, that particularly in light of the coffee rust crisis and the success of ‘basic’ coffee brands using lower quality beans, there is room for more nuance and complexity in that story. This would benefit farmers who are marginalized by low prices and unrealistic expectations as well as shop owners who want their customers to love coffee as much as they do, if not in the same way.